Azure is a flexible, feature-rich cloud platform powered by Microsoft. Microsoft Azure from Native Network lets you build powerful cloud-based applications designed to meet your needs. 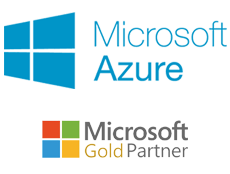 Azure apps are supported by Microsoft's world-class servers and our certified technicians, so you never have to worry about complex IT management and high capital expenses. Solve your business problems with proven combinations of Azure services and related products. Whether you're just beginning in the cloud, or have years of experience developing cloud-based applications, Native Network can help you get started with sample architectures, documentation, and partner resources.